JULY 25, 2013 — Patrick Novecosky, editor of this blog and editor-in-chief of Legatus magazine, was a guest on Iowa Catholic Radio in Des Moines, Iowa, this morning. 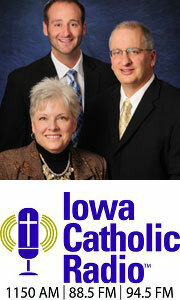 He appeared on the Iowa Catholic Radio Morning Show with Jeanne Wells, Mark Amadeo, and Billy Shears. They asked Novecosky about his four meetings with Blessed John Paul II. They went on to discuss the Vatican’s July 4 announcement that Pope Francis has called a consistory for this fall at which the Holy Father and Cardinals will set a date for canonizing John Paul II and Blessed John XXIII, the pope who convened the Second Vatican Council in 1962. 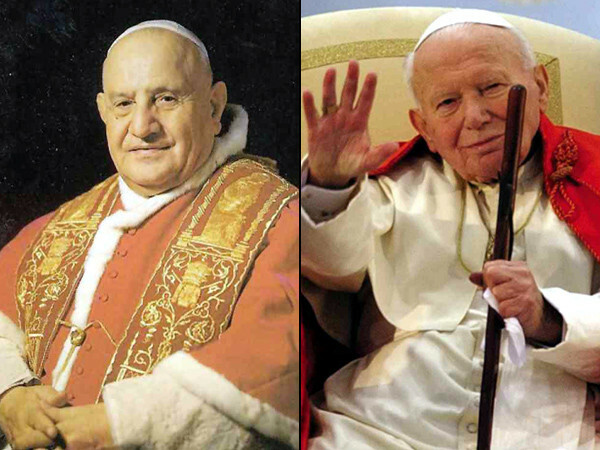 Novecosky talked about the canonization miracle attributed to John Paul II and Pope Francis’ decision to waive the miracle for John XXIII’s canonization. He also noted that it’s unusual for a consistory to set the date of a canonization or — in this case — canonizations. When the Pope and cardinals meet this fall (no date has been set), the Holy Father will likely create new cardinals as well. They also discussed whether a rumored October canonization date would be possible given the short time to plan such a major event in the life of the Church.